Note to self: Don’t park where you do. Well, as I recall, it’s a Ford. 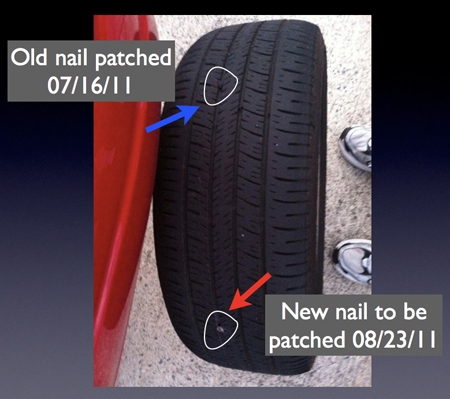 Those things attract trouble (nails, other cars, screws) like a…magnet. Ahem. Oh, I get another shot at the apple! You know, if you’d put that tire on the other side of the car, it would quit picking up nails, I’ll bet.